Gunnar Biggs is a Southern California bassist/music educator. He is active in many genres of musical performance including jazz, Latin, classical, world, and experimental. 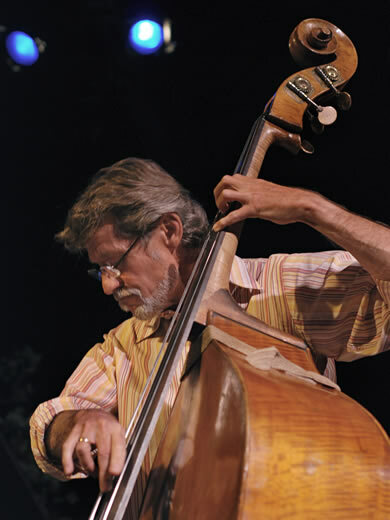 Recently retired from San Diego State University after twenty five years as Instructor of Double Bass and as Director of Jazz Ensembles at Palomar Community College, Gunnar continues to maintain a thriving private teaching practice. The HUB: So, was it during the jazz band experience that you decided the bass was going to be your musical voice? NE: Pretty much. It was solidified from the second I picked up the bass anyway. But yeah, that sealed the deal because I used to stand out by the door and listen to those guys. I’d listen to the bass player. His name is Gunnar Biggs. We still are in touch to this day, but he was my very first mentor, because he was really holding it down on Fender bass there. It’s almost like it was yesterday. I can remember hearing that and thinking, oh, man, that’s it. There’s nothing cooler.